Innovative solution for solar observations is now available for everyone! Now, in order to carry out observations of the Sun, no need to wait for clear weather, buy expensive equipment, deal with its setting and accurate calibration. SPONLI project provides a unique opportunity in real time to study solar activity: explore prominences, chromosphere and photosphere details of our star. An extremely complex unique filtration system works in an amateur chromospheric telescope SolarMax II. At the beginning of the optical path there is an ERF filter (made of special glass with a dark -pogloscheniem 99.999% in the infrared and ultraviolet range), in front of the lens there is a narrow-band interference resonator based on the Fabry-Perot interferometer, and, finally, the final filter element in the system – is a special BF10 blocking filter that is located in front of the eyepiece. Fabry-Perot cavity gives the bandwidth of the light waves less than <0.7 Angstrom (!) 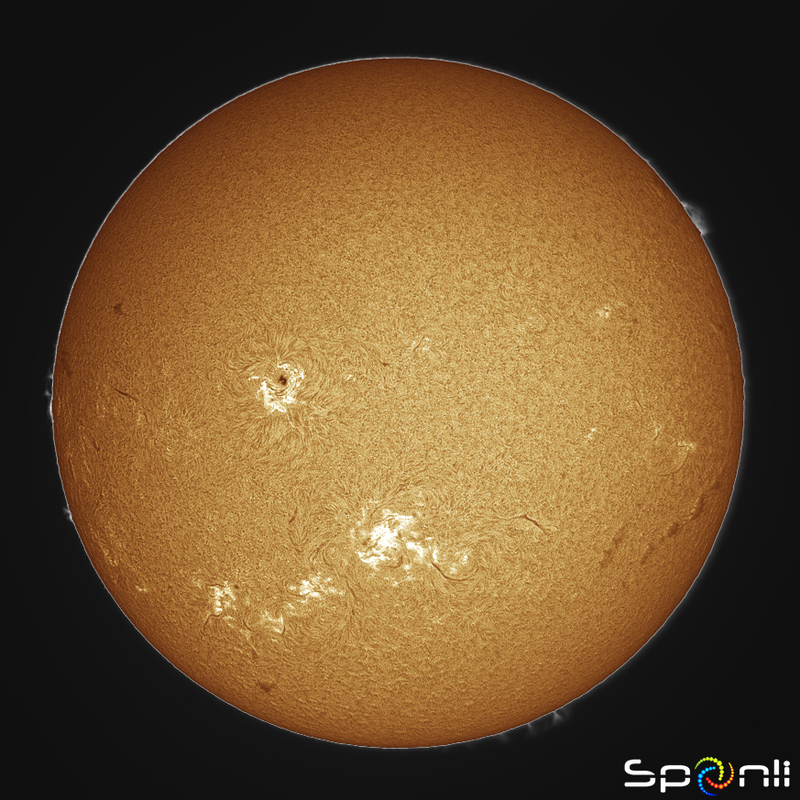 In the line of hydrogen (H-alfa) – this allows you to watch the details of the chromosphere on the solar disk and provides high contrast images. In addition, the Fabry-Perot interferometer is equipped with a special heat stabilizing element, which makes it particularly resistant to thermal effects of solar radiation and prevents the “drift” of bandwidth. Special blocking filter BF10, is installed at the telescope, that provides a good viewing angle and allows you to capture the entire solar disk, when photographing in direct focus. Besides, it makes observations quite safe. 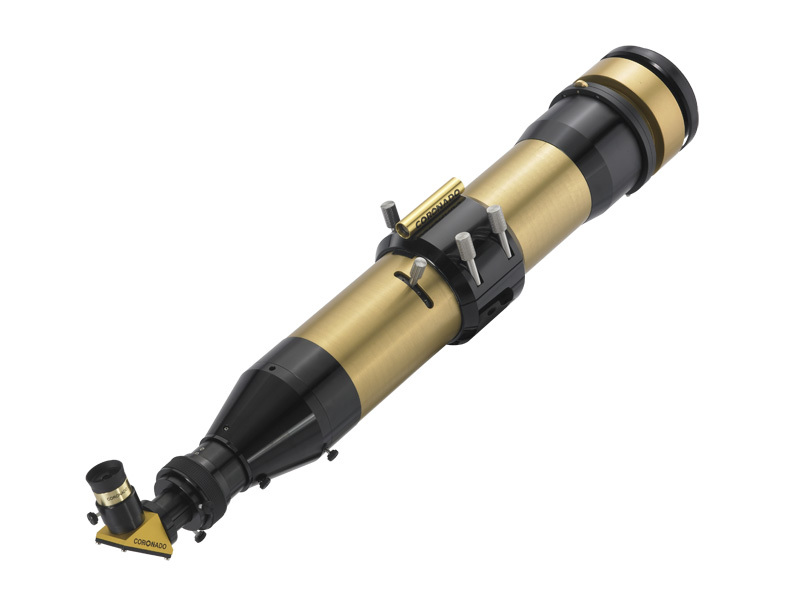 The unique patented settings system RichView is a crucial part of all Coronado SolarMax II telescopes. It allows you to shift the passband of the filter, which on one hand, you can configure the range with maximum visibility formations on the solar disk, and on the other – compensate for the Doppler effect and contrast those parts of the solar chromosphere, whose radial velocity is very different from the average.